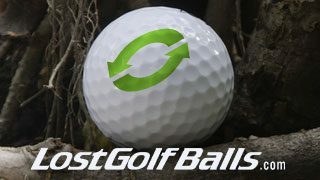 LostGolfBalls.com was founded on the notion that no golfer should ever spend too much money on the one piece of equipment they are most likely to lose. Since then, they have developed into the world’s largest seller of used golf balls at a fraction of retail cost. Every year they recover, process, and market over 50 million golf balls to golfers in over 40 countries. Through a partnership with ROI Revolution, LostGolfBalls.com aimed to invest in paid search opportunities that would drive new customers, and therefore increase revenue, without sacrificing profitability. 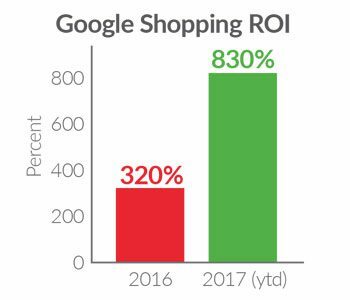 ROI Revolution took a look at the Lost Golf Balls AdWords account and used a data-driven approach to first identify high volume search terms that were driving a significant amount of sales and revenue. From there, a unique plan was developed to leverage this data in the product feed to improve Google Shopping ad relevancy. 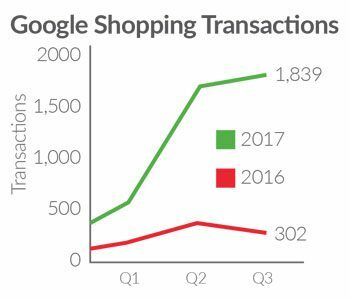 When considering a large product catalog, making sure Google Shopping strategy is in sync with text ads and keyword strategy in the account can be a major challenge. In certain business models, a key term or “head term,” can be responsible for a large portion of overall non-branded search traffic and sales volume. 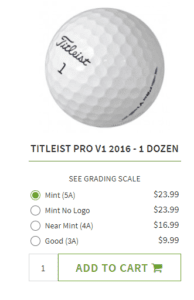 With an overwhelming number of product titles, manually changing them on the Lost Golf Balls website or transforming a raw product feed file on a daily basis required a huge time investment and was inhibiting revenue growth opportunity. 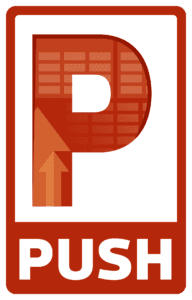 To combat this, ROI Revolution utilized one of their proprietary technology tools, PUSH. By creating customizable rules, PUSH automated the process of updating product titles on a daily basis. This allowed analysts to focus on more essential strategies, such as Google Shopping bid management and on the execution and analysis of ongoing ad campaigns. 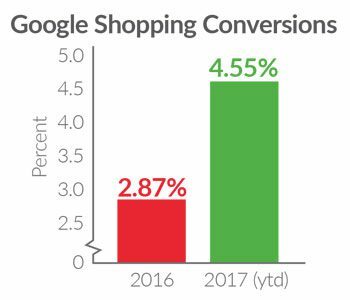 Since implementing this strategy into the Google Shopping product feed, ROI Revolution has continued to scale spend profitably. This has led to impressive year over year (YoY) growth in conversions and revenue for Lost Golf Balls. 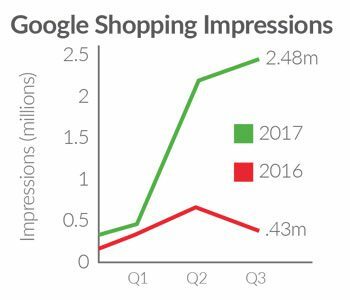 In Q2 alone, Google Shopping impression share grew more than 25% YoY. Additionally, the account saw a 118% YoY improvement in ROAS and a 469% growth in revenue over the same time period. Working with our knowledgeable ROI team to test something as simple as product titles in our shopping feed has significantly increased our shopping revenue. Without their insight and drive to help us improve our account, we would be leaving a lot of revenue on the table! By focusing on one specific head term in Lost Golf Balls account, ROI analysts were able to improve the effectiveness of ad spend, leading to huge gains in ROI, revenue, and impression share.